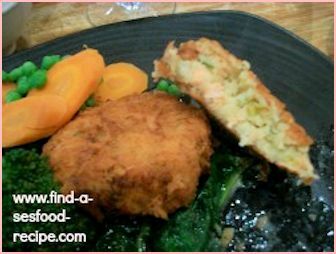 This recipe for salmon patties can be easily doubled up to serve 8 or freeze some for another day. 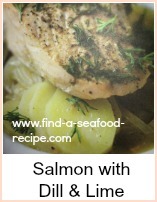 It is not expensive - a pound of salmon goes a long way - it's very tasty. It would also be suitable for any other type of fish. 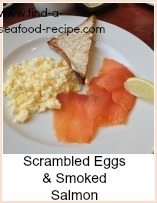 You could try a mixture of smoked and plain or canned and plain or just one type of fish. If you use canned salmon, it is generally stronger flavored than fresh and I would use one large can instead of the pound of fillet. Boil the potatoes in salted water for about 15 to 20 minutes until soft. Whilst the potatoes are cooking, put the milk in a pan and bring to a simmer. Add a knob of butter to melt in. Add the salmon and cook for about 5 to 10 minutes until the fish is firm to the touch. Remove the skin and bones and flake into a large bowl. 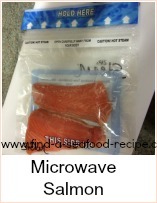 If using canned salmon, then drain the fish and take away the skin and bones if you prefer it that way. You don't cook this as it's already cooked. Mash the potatoes, stir in the mustard, mayonnaise and onions and stir well. If the mixture is very stiff, then add a little of the fish milk to let it down a bit more. Stir in the fish and parsley. Flour your hands and divide the mixture into 8. Shape into balls and then flatten each one to be a fish cake shape. Roll in flour, then the beaten egg and finally the breadcrumbs, turning the patties until they are well coated. At this stage, I would recommend chilling in the fridge for 30 minutes or so to allow the mixture to firm up - not essential, but they are less likely to break up when cooking. Heat the oil and then fry them in batches for about 3 minutes each side. They should be golden and crisp. You can keep the first batches warm whilst you are cooking the rest.